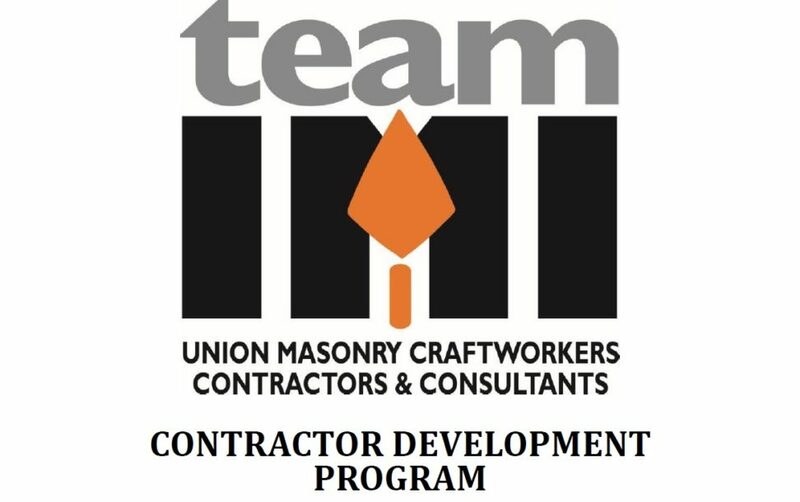 In an effort to grow our industry, the IMI has recently implemented a Contractor Development Program to help BAC members who are interested in starting their own company, or existing small companies that are looking to grow. This is an eight-hour session and we will cover the some of the must do’s and don’ts associated with start-up companies. Each of the instructors have had their own companies and know first-hand what it is like and will share their experiences with the group. 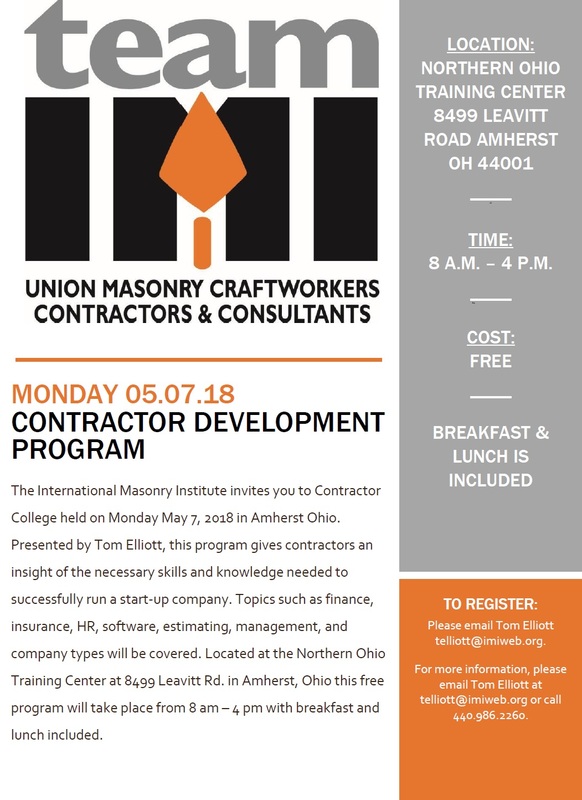 We also will have a field rep from the local to speak about the relationship a contractor may have with the BAC and how the unions may be able to assist in securing projects through target funds and manpower. Someone from the funds office will also speak to the group on what the requirements are for paying benefits to the locals. Finances – Do I have enough to start? Insurance – BWC, bonding, liability. Estimating – Different software’s available, outsource? Project delivery types – CM, CMR, GC, IPD and the sub-contractor roles and relationship with each. We have held this course in Indiana and Michigan already and will hold our first Ohio class on May 7th at the Northern Ohio Training Center. Below is a flyer for this event. Please feel free to share this with anyone you may know who may have an interest in starting a company or a new company that may be looking to grow.